The year is 1957 and Haiti is in turmoil! Pierre-André François is handsome, intelligent, and the greatest soccer player in Haitian history. He also has a well-kept secret; he is an assassin. In fact, Pierre-André François is the vile and feared Haitian assassin known as The Little Rose. Like a skilled painter, he kills with style and finesse, bringing death in broad purposeful strokes and sweeps of red. Signing each piece of work with a fragrant red rose. At the age of seven, J.M. Lominy and his older sister immigrated to the United States in order to reunite with their mother in Brooklyn, New York. After graduating from James Madison High School, Lominy entered the United States Marine Corps and served during the first Gulf War. He went on to earn his Bachelors of Nursing degree from the City College of New York. His work, both poetic and determined in voice, places an emphasis on the history of the Haitian experience as witnessed through the life of passionate characters. 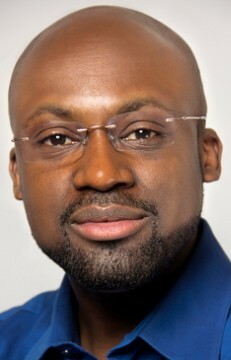 A husband and father of five boys, Lominy has been writing since 2000 and specializes in historical fiction. I got my first inkling to write during my first year of college. It was an emotional time and my life was full of turmoil. After being honorably discharged from the Marine Corps, my finances were stretched thin, I did not fit in with my peers, and at twenty-two years old I was a husband and father of two. It was during that time, 1993, poetry came to me as if a flood bursting through a dam. The enormity of it was so strong I had to put it on paper. I always had stories coming to me even as a child and I had difficulty staying focus with all the colorful stories floating around in my mind but they never made it to paper. This continued into adulthood. At the age of thirty-two I went to Haiti for the funeral of my maternal uncle, who was like a father to me. It was at that time, I realized how disconnected I was with my country of birth. I had limited knowledge of my history. I started to read books on Haitian history and that stimulated a barrage of story ideas. From that time on, I attended writer’s conferences, read books on the art of writing and more than anything else, I wrote. BPM: Introduce us to your book and the main characters. What makes each one special? Do you have any favorites? In 1957 Haiti was in turmoil. The former president is in exile and his seat is up for grabs. A popular Haitian senator is assassinated and the assassin escapes to find himself hunted by an unknown psychopathic killer. Pierre-André François is twenty-six years old, a handsome star soccer player. He is pleasant, approachable and adored by thousands of fans. He is sometimes a jokester with witty intelligence. 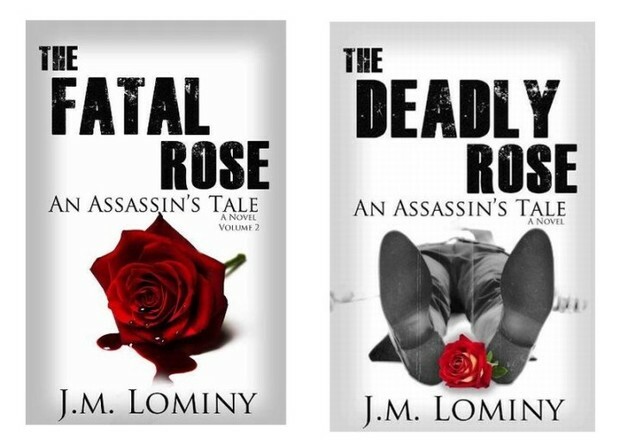 He has a secret; he is the vile and feared assassin known as The Little Rose. Marie-Anne Savoire, is a young energetic and stylish beauty that dates wealthy men or those in position of power. She has that ability to make a man pause in mid-sentence once she enters a room. She is a close friend of Pierre-André. Marcel St. Louis is a twenty-four years old medical student with direct lineage from France. He is the son of an influential retired army general. He and Pierre-André have been friends since childhood. Their friendship has developed into something more than friendship. Frank Gaston, is one of the three leaders in the largest criminal organizations in Haiti. He is a ruthless strategist. He is Pierre-André’s maternal uncle and surrogate father. My favorite character amongst them all is Marie-Anne. She is full of life and colorful. I consider her sweet and sour; just as she starts to taste good in your mouth she drops you from boredom. BPM: Which character or topic in the book can you identify with the most? Why? One of the topics in the book I identify with is family. My main character, Pierre-André is an efficient killer, but deep down in his mind and spirit, he is family centered; that is his core, his Achilles heel. I can identify with that, family is important to me. The inspiration for this book came from the vestibules of knowledge flowing through my mind. It just came to me, like many other ideas that will morph into books. I have a constant flow of thoughts that resonate in my mind while I do my daily activities. Some of them end up on paper. It has always been that way with me. Faith and education does inspire my writing. It can be found throughout my writing. It is intertwined within my story as though a dash of spice that you know is there but you could barely taste it. BPM: Is this the book you intended on writing or did the story take on a life of its own as you were writing? How do you stay focused? What I call the book fairies took over the story and it turned out better than I anticipated. On many occasions I had to take a conscious pause and weight the pros and cons of going with the story in a certain direction. I kept focus by sequestering myself in my office while listening to jazz. Visualizing my book on the shelves of the big bookstores or the retailer’s was also a motivator. I arise daily at 4am to write. I want readers to gain knowledge of Haiti, its people and the core that binds us all; family, religion and politics. BPM: What are your goals as a writer? Did you set out to educate? Entertain? Illuminate? Inspire? My goals as a writer is to educate, entertain and illuminate about the Haitian experience. An experience that is no different than any other human struggle. What makes it unique is that Haiti is rich with colors. When you’re in Haiti, the air feels alive the stars twinkle hinting at the secrets they keep. Haitians smile no matter their condition. I bring those feelings in my story; a historical fiction that you will want to be true. BPM: We are here to shine the spotlight on your new book, but what's next? How may our readers follow you online? I am writing the sequel to the current book. In addition, I’m starting another book line under another name and genre. 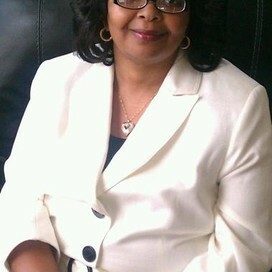 Readers can follow me on Facebook, Twitter, Pinterest, and they can sign up for my newsletter at WWW.JMLOMINY.COM. At five minutes after ten, a woman’s scream sounded, one so true and so frightening that neighbors two streets over came out to investigate. The scream came from the home of Laplace. Laplace’s great wealth of a house stood sturdy and strong among beautiful homes in the heart of Pétion-Ville, on a hillside off of Rue Louverture. It faced west, smiling in the direction of the capital, with darling green paint and a grand balcony gracefully overlooking a beautiful front yard garden. On a clear sunny day, the garden’s colorful collage could be seen from Port-au-Prince, its carpet of roses and lilies planted and maintained by Mr. Laplace himself. A new seven-foot, decorative, cinder-block wall stood erect, forming a perfect rectangle around the perimeter of the property. It was the only house in the neighborhood to be so screened-in, a recent security measure undertaken because of the increasing political turmoil. Minutes before she took claim to her screams, Madame Laplace was sound asleep, serenaded by crickets under a cool, soft, and steady breeze–a paradise she gladly welcomed. Life could not have been any better. She was dreadfully awakened by two thundering sounds, wondering if cannons had been fired outside her window. The sounds put a momentary pause to her heart, then a terrifying gallop. Afraid to open her eyes, she fumbled over pillows in the dark and found her husband inches away. “Theodore wake up! They’re shooting outside,” Madame Laplace said scared and shaken. Mr. Laplace answered with silence. Their second floor bedroom faced a courtyard that led to a back entrance. That same passageway was now crowded with two dead bodies, men who were charged with their safety. “Theodore didn’t you hear me? They’re shooting outside.” Madame Laplace repeated as she shook Theodore Laplace by the shoulder, still no answer. An uncomfortable silence ensued, if only for a second. To Madame Laplace it seemed an eternity. Tightness crept up her chest. Suspicion lingered in the back of her thoughts. He was never difficult to awaken and rarely silent, even as he slept. Just minutes ago, it seemed, his snoring was a continuous humming that kept cadence with the crickets. Gradually she opened her eyes, withdrawing her ivory hand from his broad shoulder. A thick warm liquid caked her hand. With controlled panic, she fumbled for the matches. With shaking hands she struck the box of matches, almost too petrified to look, but knowing she had to. The fire took hold of the match with a bang, sending sparks of light everywhere, exposing the red liquid covering her delicate fingers. Through a haze of fear and the onset of nausea, she saw. Blood, the life force—as red as it was thick and still warm to the touch—was undeniably present. Madame Laplace couldn’t believe what she saw, but at the same time it was indisputable. It must be a trick, a lie, a mirage, she thought. She blinked as if to clear her vision and wish the blood away. Her head started to spin out of control like a coconut tumbling down a tree, in a hurry to meet earth. “My God,” escaped from her quivering lips. She turned pale as the meat in the center of a coconut and shook uncontrollably. She knew before she saw, deep down in her soul, she knew. Her innards twisted into cramping knots. Her suspicion was to be proven accurate. She knew that Theodore Vladimir Laplace had walked through the gates manned by Ghede, the voodoo god of the dead. She stared at her own fingers caked with the congealed blood, wishing it were the past or a dream or even a crude joke by a malevolent spirit. Her small-reddened lips curled like a slingshot, stretched thin, ready to be released. With tears already forming in her eyes and her chest aching, she suddenly found it difficult to breathe, to think, when only moments ago it came so easily. Time seemed to have slowed as she faced her husband of twenty-five years. Through blurred vision produced by rain-sized tears, she saw, paused, and gasped. The ghostly portrait of the former Theodore Laplace was smiling at her. His mouth was stuffed with a dirty rag, causing his already corpulent cheeks to spread out. His eyes stared up at heaven as if questioning God “Why now? Why me?” His neck sported a gaping V-shaped smile, the traditional bowtie cut left behind by a taker of souls, a Haitian assassin—the assassin’s baptism, as it was known amongst criminals. Only the cruelest of assassins can cut a man’s throat, leaving him with a flowing, red grin that mocked the living, as if to say death was not so bad. © 2013 All rights reserved. Book excerpt reprinted by permission of the author, J.M. Lominy. This excerpt is used for promotional purposes only. Do not reproduce, copy or use without the publisher's written permission. Share a link to this page or the author's website if you really like this promotional excerpt.